In 2003, fans of Final Fantasy were greeted with a series first: a direct sequel to a Final Fantasy game. 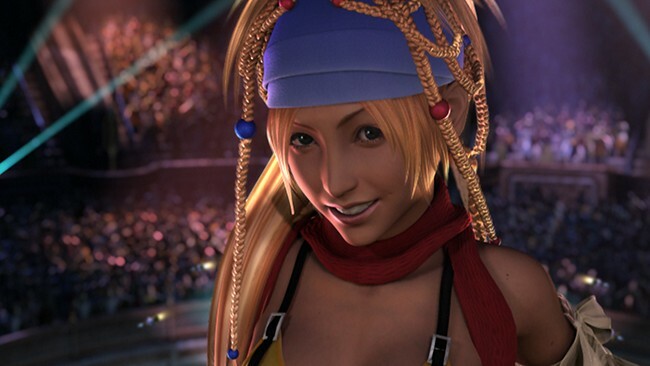 Final Fantasy X had quickly become a fan favorite, and Square decided to capitalize on that by releasing Final Fantasy X-2, a rather fan service-filled title that left a bad taste in most players’ mouths. 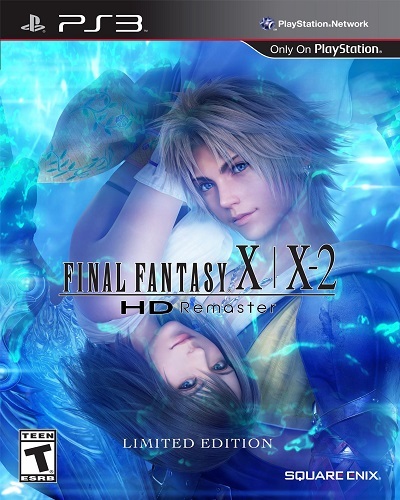 A decade later, the title has been re-released in the HD compilation of Final Fantasy X and X-2. Now that we’ve had time to let the dust settle, I’d like to take this opportunity to see if Final Fantasy X-2 HD has any merit beyond the fan service it so blatantly likes to promote. I already covered the graphical enhancements that were brought to this remaster in my review of Final Fantasy X HD, and see no reason to cover those again. The basic summary for those that don’t want to go back and read it is that it’s a polished PlayStation 2 game — nothing amazing, nothing terrible. The only thing graphically different about this game is the small handful of new locations and, of course, the lovingly-crafted Dressphere outfits. 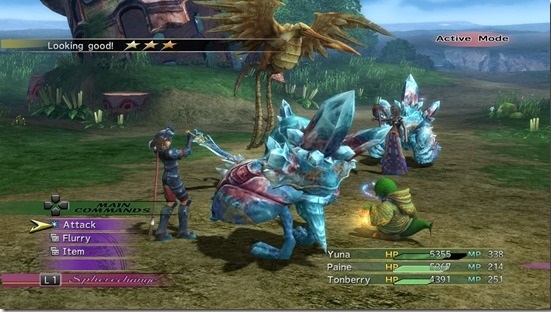 Even in the original version of the game, it was obvious that all of Square’s money went into crafting dozens of outfits for your party members to parade around in. As far as the game’s new locations go, they are all rather blandly designed, generally being long dark corridors or labyrinths with no creative design put into them whatsoever. Even the last dungeon (which thankfully at least attempts to be creative) is a dull mesh of gray that isn’t at all fun to look at. I understand that, when a game takes place in the same world as its predecessor, assets are going to be re-used, but, because of all of the recycled content, I’d expect what little is added to actually have some effort put into it. 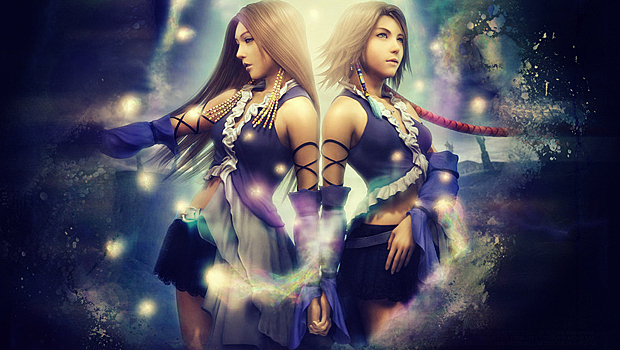 The soundtrack, on the other hand, is completely different than Final Fantasy X’s, and, unlike its predecessor, did not receive any special treatment for the remaster. The soundtrack is here in its original form, and, sadly, it isn’t very good. Most of the songs fit the aesthetic of the game, but a vast majority of them aren’t very interesting and often feel repetitive, wearing out their welcome quickly. There are a few songs that do break the mold and hold up well, like the the Final Battle theme and the song ‘1000 Words,’ but the rest were shallow and tended to lack feeling and strength. The ‘1000 Words’ segment gives me goosebumps every time. Yeah, I’d be embarrassed if I had to read your lines too, Rikku; My Little Pony is nothing compared to this. Final Fantasy X-2 HD’s story… is, frankly, a mess — so much so that, not only does it not hold up on its own merits, it actually creates plot holes in its predecessor. On top of that and the dialogue that just can’t be taken seriously is the fact that the story suffers from terrible pacing due to the game’s open-ended nature. You will be plagued by weak antagonists, poor character motivation and only a couple hours of genuinely important story arcs, most of which doesn’t even have to do with the game’s main character. Things become even more frustrating when you factor in the fact that you don’t get the True Ending without getting 100% completion, which is nearly impossible, even with a walkthrough. If you miss out on talking to even one NPC that the game thinks is important, you can’t get the ‘Best’ ending. The emotional climax of the game centers around a concert which contains a flashback to two characters that are barely fleshed out at all, and, while this scene is actually rather remarkable in its execution, it really loses its effectiveness when you remember how little it has to do with the rest of the game. The gameplay has shifted quite a bit from how it played in its predecessor. 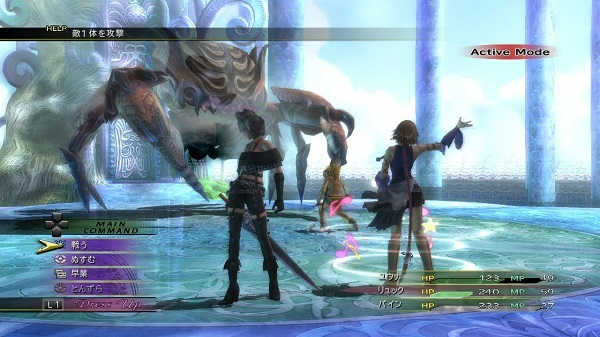 Instead of completely turn-based combat, Final Fantasy X-2 HD brings back the ATB meter, making it so that time is a factor as you look through your spell list and plan your next move. I found that Final Fantasy X-2 HD implemented this system extremely well, adding wait times to the use of certain abilities and also a Chain Meter, making it so if attacks happen in quick enough succession, you will gain a damage multiplier. It really helped to encourage skillful timing without making it a necessity. Combat becomes even more entertaining when you factor in the Dressphere system, which allows you to change job classes mid-battle, so switching from healing roles to combat roles becomes not only easy, but an essential strategy if you want to be truly effective. As with any job system in any game, however, it comes at the price of being extremely easy to take advantage of. It is not the most balanced of game systems, but, on the other hand, you could argue that the point of any game with a job system is to see how ridiculously overpowered you can become. I’m a bit torn in the end, as the game does the best that it can to encourage you to explore the jobs, but isn’t very well balanced. It allows you to not only play any job at any time, but also allows you to learn abilities in any order you’d like, assuming you meet the prerequisites. The downside is that this freedom to become so overpowered really cuts all of the challenge from the game, which defeats a lot of the fun for me. I’d love see this system used in another game with a bit more testing and balancing done, but I think it was at the very least a successful experiment that allows for a great deal of freedom. Exploration in this sequel is far from interesting. If you played the first game, you’ve already seen all of these locations, and with few exceptions, nothing has changed. It becomes even worse when you realize that you will be walking through each of these areas another five or so times before your journey is done. The game does try to offer you more freedom by giving you an airship from the very beginning, letting you take on locations in any order you choose or skip unimportant areas outright, but doing so will easily cut your play time in half.